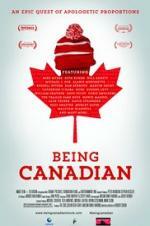 Buy or Rent Being Canadian (2015) Movie DVD & BluRay Online! Movie Plot: BEING CANADIAN chronicles the real-life quest of Robert Cohen, a proud Canadian, who left his hometown of Calgary and moved to the U.S. to start a career as a TV comedy writer. He started noticing how people outside Canada knew very little about his beloved homeland. After decades of ignorance, insults, and indifference, he decides to do something about it. Rob sets off on an epic personal quest, driving across Canada from East to West, to confirm the country he’s been fighting for is still what he remembers. Interwoven with this journey are interviews with a variety of famous Canadians, along with people he meets along the way. His deadline? Midnight on Canada Day, in Vancouver. Imagine ‘Sherman’s March’, but wearing a toque!